Please enjoy exploring our original website but make sure to connect to our NEW WEBSITE before you leave to learn of the current schedules, pricing, and events! Go to our NEW WEBSITE for more information! and a store with snack, drinks, and dance supplies! 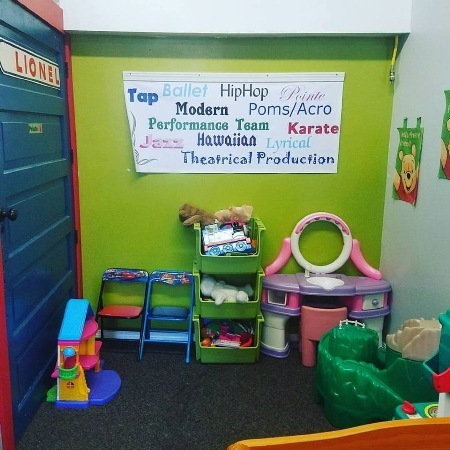 Our studio has a fun and inviting atmosphere to encourage learning and growth! 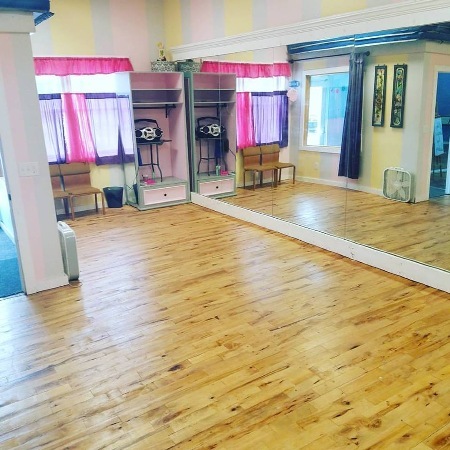 Sprung Maple Floors- exceptional for dance! Wireless Internet in both of our Lobbies! This is our 11th year and we are so excited to make it the best ever! 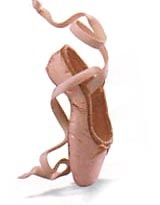 ABT was recognized as America's National Ballet Company as of 2006 by the United States Congress. It is located in New York City, with it's principal venue the Metropolitian Opera House. Students are divided into levels that represent their individual abilities. As children grow their gross motor and fine motor skills develop and mature to be able to execute the steps and style of dance more precisely. 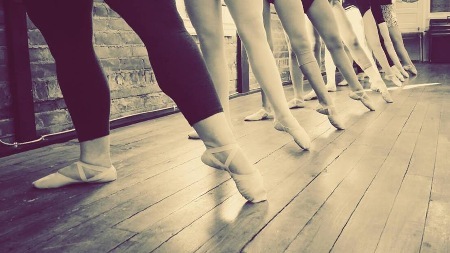 A dancer's age as well as experience is considered when being placed into their level. Their dances will be challenging, fun and age appropriate whether they are tots or teens. It is never too late to develop as a dancer, and the thrill of performing on stage is a wonderful reward at the end of the year. The ability and confidence to perform in front of an audience is an invaluable skill for their future. Sugar Babies, Tiny-tots & Jitterbugs: the children will learn the counts in music, how to follow direction and to move rhythmically, all while having tons of fun.... dance is an exciting and creative way to aid in developing the math skills of children. Jitterbugs & Shuffles: they will learn the necessary basics in each style of dance, and get the exciting feeling of putting a dance together with music and friends with the anticipation of the recital to show off what they have achieved. Performing in front of a group as a child is a wonderful way to prepare for what ever your future holds. The confidence is something you can't put a price on. 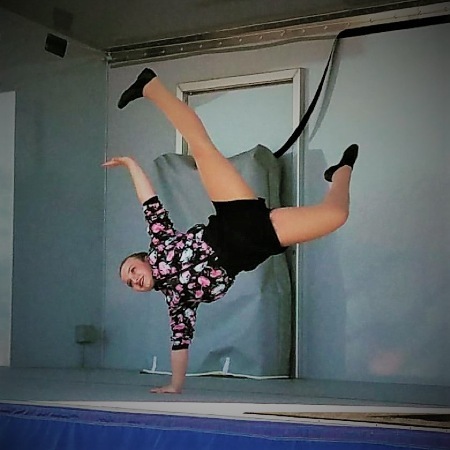 Centerstage, Varsity, & Bravo: these classes will emphasize the developing dancer, the precision of the steps, the confidence of the movement all while having tons of fun and showing their individual talents. At this level the students shine! Their performance skills sharpen, they develop a personal flair and the memories of their achievements and friendships are there for a lifetime. *** The Sprung Maple Floors: A sprung floor is a floor that absorbs shocks giving it a softer feel. Such floors are considered the best available for dance, indoor sports and physical education. They enhance performance and greatly reduce injuries. The Brazilian Maple is the perfect wood for dance. ***** Lockers. You can rent a locker for just a semester or the whole dance year. Eliminate the need to drag your dance bag back and forth! *** Watchyour little dancers from the lobby windows without distracting them. *** Performance mats, these professional mats are 5 ft by 10 ft and 4" thick, to provide added safety to the student. 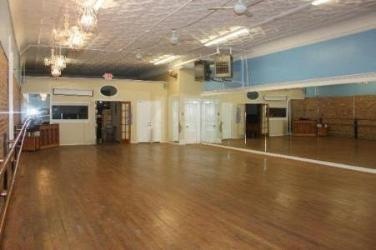 *** 13 foot ceilings- this gives the ability for partnering in the dance numbers. *** Wireless Internet in the Lobby: we feel that students as well as parents spend so much time in the lobby of a dance studio, we wanted to provide the ability for them to maximize their time using the internet for their job, school work or just checking their email. *** An area for eating in both lobbies...food and drinks are welcome. Snacks and beverages are also available for purchase. Dance Apparel is available for purchase in the Lobby. 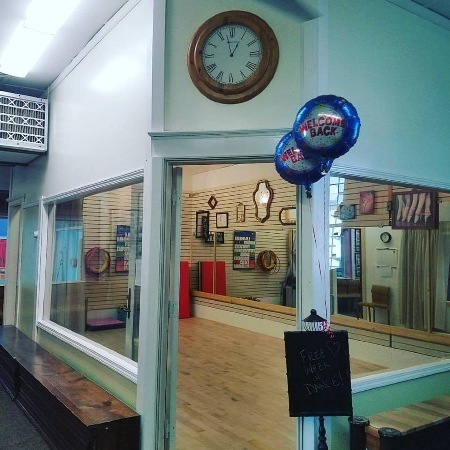 Parents are welcome to watch their children's classes anytime! An area is provided to the older dancers to keep their things with them during class, to protect their purses, etc. 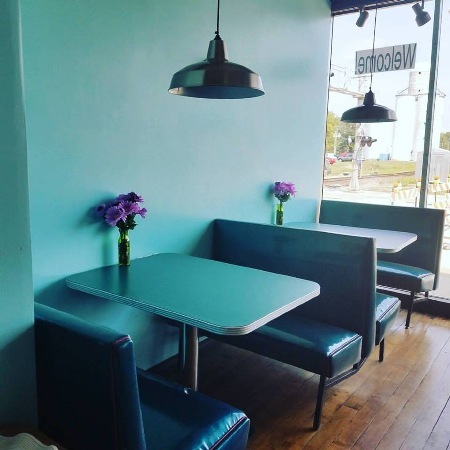 The studio is located in the charming Historic Downtown District of Richmond. We are at the corner of Main and the Railroad Tracks. AIM has two entrances, one located on Main Street and our primary entrance off Gleason Street (parking lot) We are minutes away from Kroger plaza, Kmart plaza along with many other shops and restaurants. It is very convenient to do your errands while someone is in class, saving both time and gas! 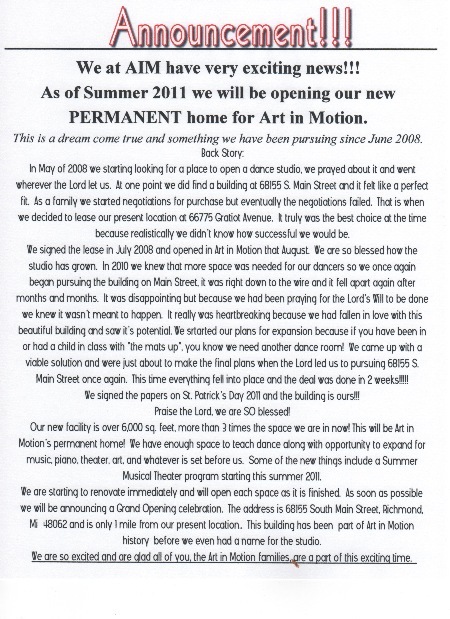 Art in Motion is a family owned and run business. Collectively we have over 80 years of dance instruction and performance experience and have been involved with numerous Musical and Dramatic Productions. We are 5th generation self-employed business owners, and have ran successful businesses for 20 years. 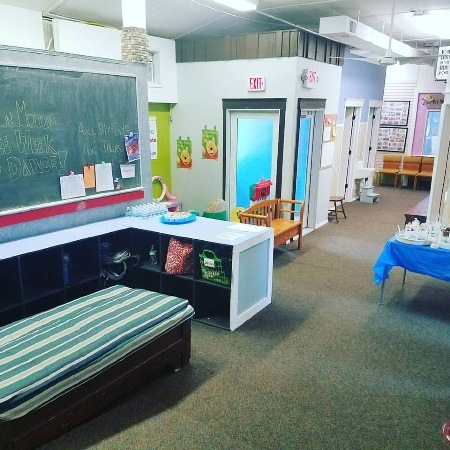 After much thought and prayer we decided to open this studio and combine our experience and talents to provide a unique family friendly experience for the people in our own community as well as ourselves. 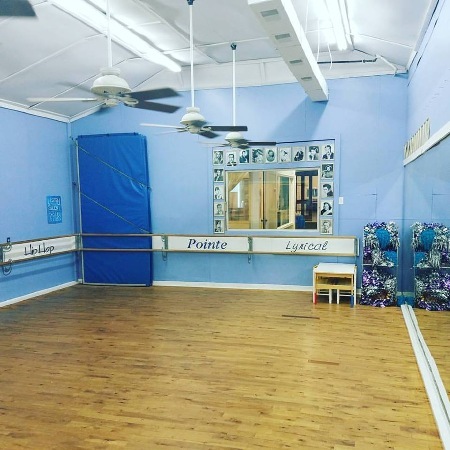 Our experience not only entails the family members who took dance instruction and were in the performances but the added experience of being their parents with the needs and wants of the people behind the dancers. The studio has been built with all of that in mind. We have assembled a group of creative and caring individuals all with experience and knowledge in areas to bring to our students and their family members a complete "Art in Motion" experience. We have dance, art, music, exercise classes, movies, crafts and other activities throughout the year. We are a Christian family and this is therefore a Christian business, giving all Praise and Glory to Our Lord Jesus Christ. We welcome everyone and do not preach our faith, but hope to live it in word and deed.